That's a real t-shirt I saw at Bass Pro, by the way. I've never seen anyone actually wear one, but I have to assume the "support your local hookers" t-shirt gets quite the guffaw at bait shops. Anyway, after more than a few fights about final copy look (so many discussions about fish and if/how sunshine looks when it filters into the water and does that color green convey a place in the mountains further west instead of in the Ozarks? ), our newest book is out! 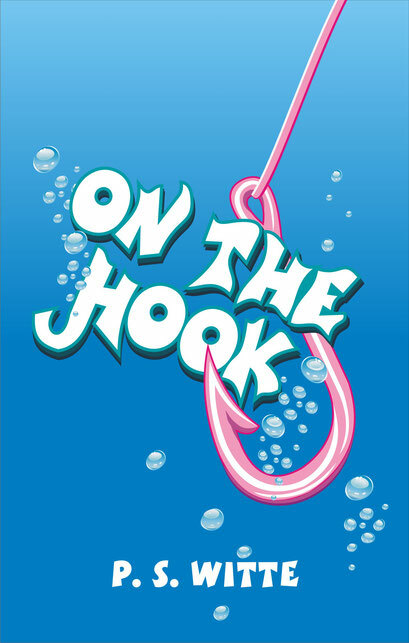 On The Hook is a straight-up comedy (not romcom) about a woman who decides it's high time she joins her husband on one of his many weekend fishing trips. Buddy, her husband, is more than game to have her tag along, but begins to worry she might actually be the bad luck charm the other guys superstitiously claim when things start going wrong. Schmancy fishing tourney champion Lonnie Spoon is trying to stack the deck in his favor when Missy and Buddy inadvertently get in his crosshair...er, hooks. This book was a lot of fun because it pokes fun at those who take fishing way too seriously. Not that competitive fishing doesn't have its place in the sports pantheon, but like anything it can be taken too far. My mother tells tales of her days at camp where she once caught a fish with nothing but a string, the shiny inside of a gum wrapper, and a paperclip. Of course, she also tells stories about killing a copperhead with a slingshot, so she might be a little bit better at hunting and fishing than your average joe. Also, we are very nearly done with our next book, Reckoning Trail, which is based on the tales of an actual gunslinger/outlaw in the not so distant past. A first-hand account told by the outlaw himself, it gives a perspective that we don't often get a chance to see. Cover design is already underway, and we will of course keep you posted when that release date gets closer. That's all for now; have a great week and I will talk to you soon!